16"x 20" pastel, private collection "Kennedy" This portrait won a Merit Award at the Portrait Artists of Arizona's first "Fine Art Show" at the Arizona State University Grady Gammage Auditorium in Tempe, Arizona and it also won a People's Choice Award at a Arizona Artist's Guild show. I'm an Arizona artist living in the beautiful Cave Creek area. I will be adding more information and photos of my work. My favorite subject has always been drawing and painting people. I studied at The American Academy of Art in Chicago and became a graphic artist. 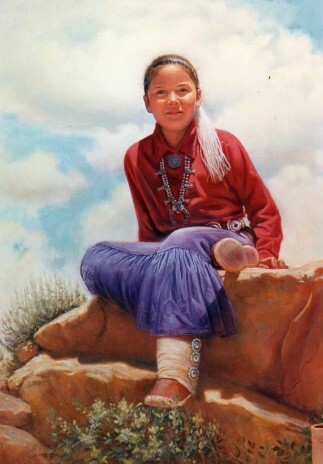 My family and I moved to Scottsdale, Arizona many years ago and later to the western town of Wickenburg, AZ where I began my career in Western Art painting Native Americans and cowboys from Wickenburg, who were the real deal! My paintings were represented by several galleries, won awards in shows and are included in many private and corporate collections. 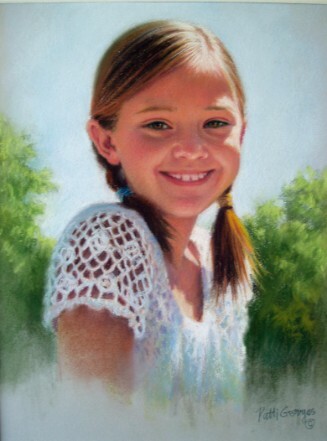 My love of painting people led to many portrait commissions of children, adults, families and pets. I continued studying in portrait workshops with Daniel Greene, Chris Saper and other fine instructors. 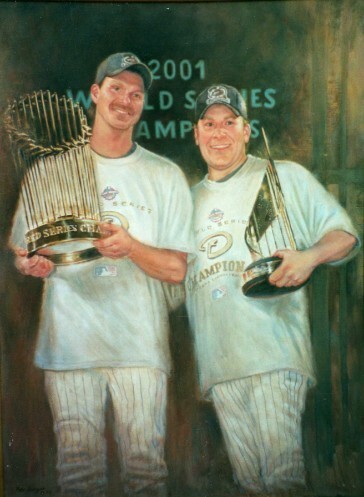 A highlight of painting portraits was after The Arizona Diamondbacks Baseball Team won The 2001 World Series! Curt Schilling's family commissioned me to paint a 30" x 40" oil portrait of Curt and Randy Johnson, the two star pitchers, with their MVP and World Series trophies! My career also branched into painting murals, residential and commercial, I recently illustrated a children's book, "Lightning Reed, a Mighty Fine Steed" which was written by my friend Carroll B. Pulis. 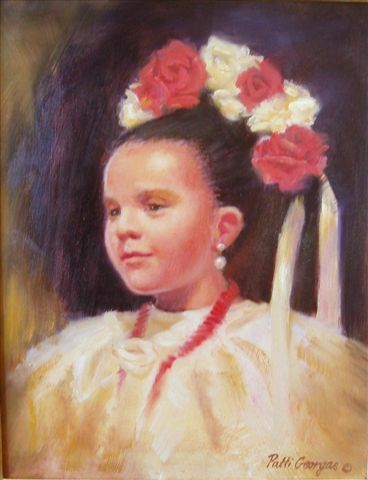 I am a juried member of The Arizona Artist Guild and a member of the Portrait Artists of Arizona . I also enjoy painting plein air scenes, still life's and painting from live models. The common thread in my work has always been the love of painting people. Thanks for coming to my gallery, Hope you enjoy it ! 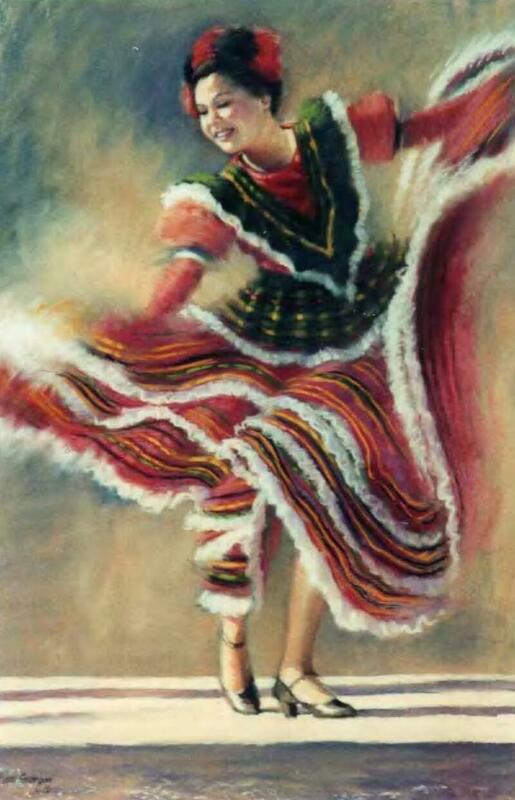 "Spanish Angel" 11" x 14" oil painting. This painting was juried into the Portrait Artist's of Arizona's 3rd Annual Fine Art Show 2013, which was held at The Scottsdale Artist's School.